When the National Council on Independent Living (NCIL) began planning their board meeting reception at the Ed Roberts Campus (ERC), they were faced with the question of how to get their group to the ERC in Berkeley from their hotel in Emeryville, and back again. Tim Fuchs of the NCIL contacted BORP he said, “We were having a heck of a time finding accessible transportation options. We have about 23 people, 6 of whom use wheelchairs.” After calling taxi, van and charter companies for days, he was having no luck. 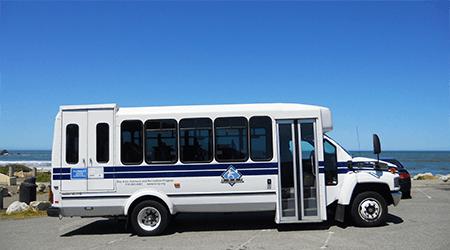 BORP has two accessible buses, which were made possible by a Federal Transit Administration Section 5310 vehicle grant and a Paratransit Gap Grant from Alameda County Transportation Commission (Measure B funds). Each bus allows five to six people in wheelchairs to be transported at one time. 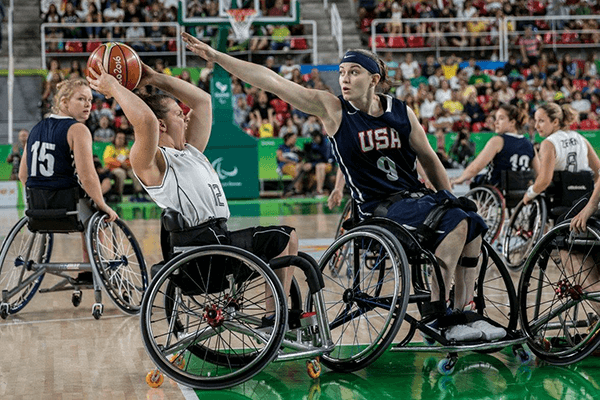 And, in addition to providing transportation for BORP participants, we also offer a fee-for-service Group Trip Service option with discounted rates for disability groups and nonprofits. It was the perfect solution for NCIL, according to Fuchs who said, “We’re happy to pay for these services and I’d much rather give our money to BORP than a cab company.” And so, BORP will shuttle NCIL’s group together to their reception at the Ed Roberts Campus. One of BORP’s buses parked in front of Rockaway Beach in Pacifica CA. “I think this is a prime example of why our buses are important to our community and how they truly fill a gap between para-transit, public transit and other means of transportation which may not be accessible or affordable,” said Sarah-Dawn Smith, BORPs Transportation Coordinator. In addition to NCIL, we have also recently served National Federation for the Blind California, Jewish Community Center East Bay, Children’s Skin Disease Foundation, and Project Access Oakland, to name a few. Our vehicles open up opportunities to serve more community organizations! 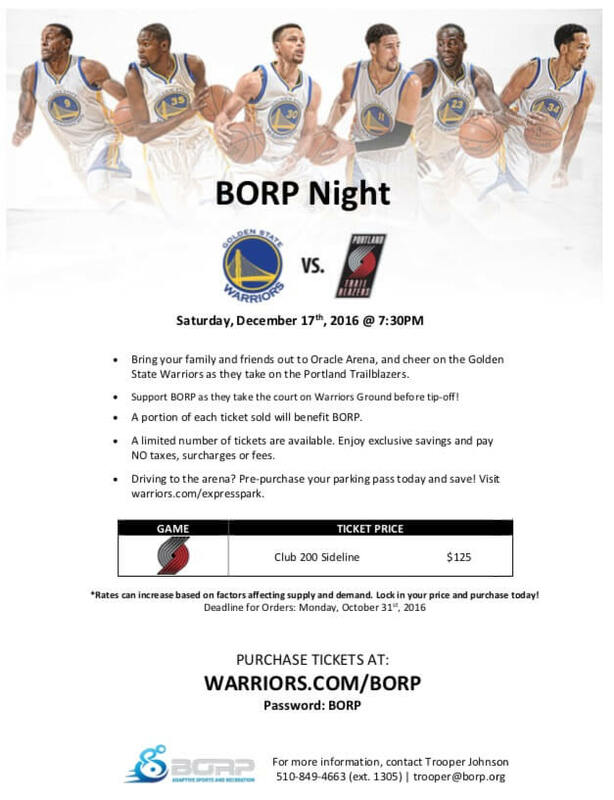 If you are planning a group trip and want information on how a BORP bus could help with your transportation needs, contact BORP Transportation Coordinator, Sarah-Dawn Smith, at transportation@borp.org or call (510) 849-4663 x 1378 or MOBILE (949) 205-9058. The top youth fundraiser for the 14th annual Revolution Ride and Festival was Matthew Hatae. Like many REV riders and fundraisers, Matthew himself is a BORP athlete, having participated in BORP’s Youth Sports Program for more than nine years. 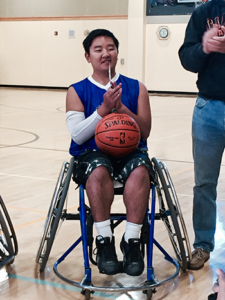 We were thrilled to be able to present Matthew with a basketball signed by the Golden State Warriors in recognition of his fundraising efforts for the 2016 Revolution. Congratulations, Matthew. And, from everyone at BORP, thank you! 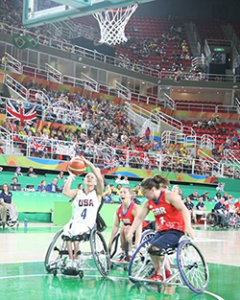 Superfest is the world’s longest running disability film festival. The event, now in its 30th year, celebrates disability as a creative force in cinema and culture. BORP is proud to be a community supporter of Superfest and we hope you’ll join us Saturday, October 22 at the Magnes Collection of Jewish Art and Life in Berkeley (2121 Allston Way) and Sunday, October at 23 The Contemporary Jewish Museum in San Francisco (736 Mission Street). Click here to view a list of films being screened. Visit superfestfilm.com to purchase tickets today! 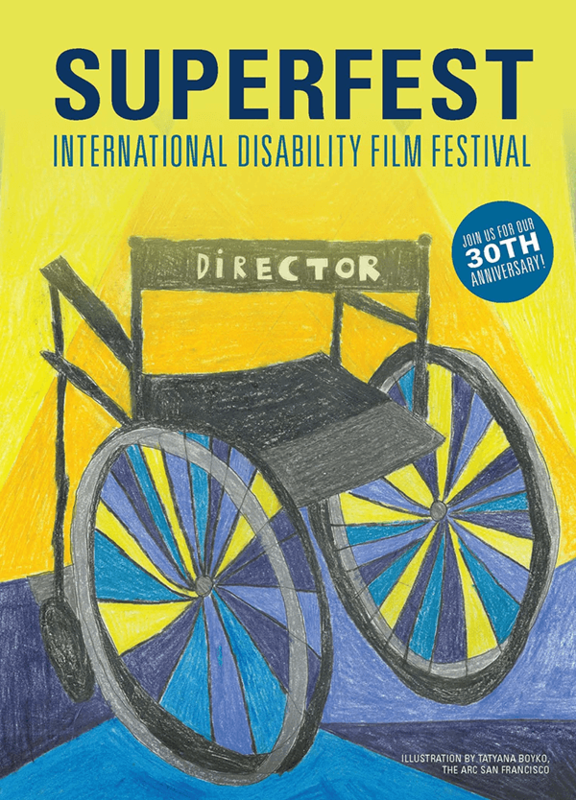 Superfest International Disability Film Festival Poster featuring an illustration by Tatyana Boyko, The ARC San Francisco, of a wheelchair with “Director” across the back. 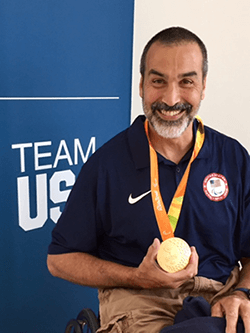 In this new blog series, we talk with Bay Area Outreach and Recreation Program (BORP) participants and athletes about their lives, interests and experience with BORP. Katherine Sherwood riding the ICE bike, a blue recumbent bike, on the pedestrian bridge above 580 in Berkeley with the BORP cycling center visible behind her. In 1997 Katherine was a teacher and promising painter when she lost the use of the right side of her body as the result a major cerebral hemorrhage. But, she says, she never lost sight of the fact that she wanted to get back to teaching and making art. Katherine’s love of going fast seemingly also applied to learning to paint with her left hand. And soon her career began to reach new heights. Just three years after her stroke, Katherine’s artwork was featured in the prestigious Whitney Museum’s Biennial Exhibition in New York. 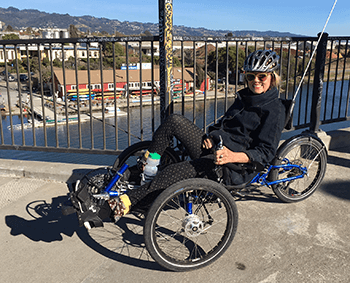 Recently retired from long and illustrious career of teaching painting and disability studies at UC Berkeley, Katherine spends her time focusing on her involvement with disability advocacy at UC Berkeley, working with a few graduate students, and cycling. Today Katherine’s bike of choice is the ICE Bike. “They call it the sports car of bikes,” she says with a smile. Katherine still likes to go fast. 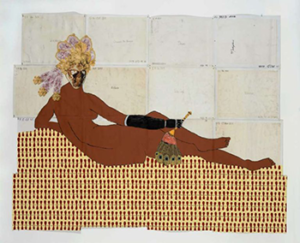 Katherine Sherwood, “Olympia – Venuses of the Yelling Clinic”, Acrylic and collaged digital print on linen found art historical posters, 2014. Image used with permission from Katherine Sherwood. Thanks for a Great 2016 Revolution Ride! Thank you to everyone who helped to make BORP’s 14th annual Revolution Ride a huge success! 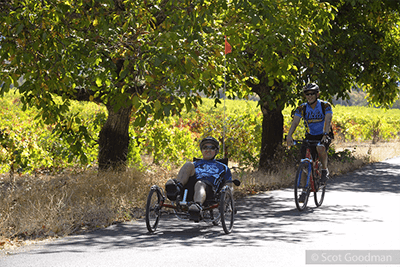 With the help of 200 riders, and nearly 100 volunteers, and our awesome sponsors and funders, we raised over 170 thousand dollars in support of BORP’s adaptive sports and recreation programs. So, again, THANK YOU for riding, donating, volunteering and supporting the REV and BORP this year! The Revolution website will remain open through the end of October for any last minute donations and we will begin awarding fundraising prizes in November! Remember, the more money you raise, the better the prize, all the way up to a custom bicycle for the top fundraiser! So, keep sending those emails! If you didn’t get a 2016 Revolution Jersey and would like one, limited quantities and sizes are still available! Email us (revolution@borp.org) and let us know what size and how many you’d like to purchase (Cost: $55). 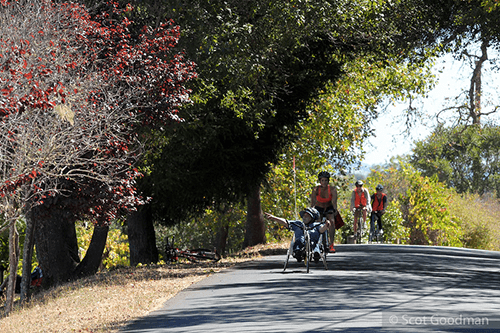 Four cyclists crest a small hill on a tree-shaded road. 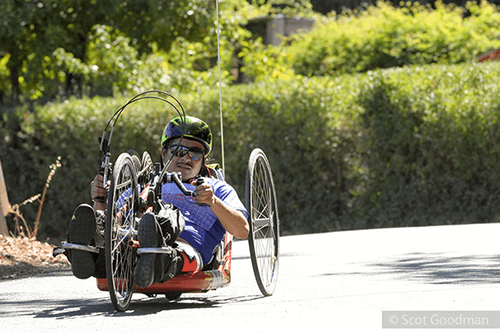 The hand cyclist in the lead is looking and pointing off the road toward the trees. 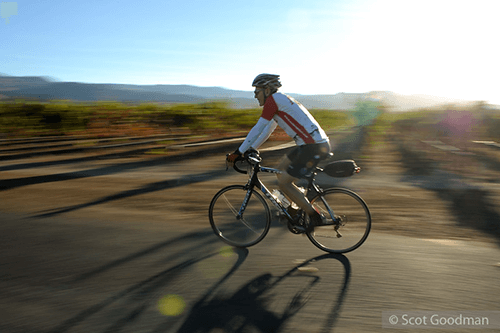 A cyclist rides past vineyards with the sun coming up behind him. A recumbent cyclist (wearing a 2008 Revolution jersey!) smiles at the camera, raising her hand in the air. 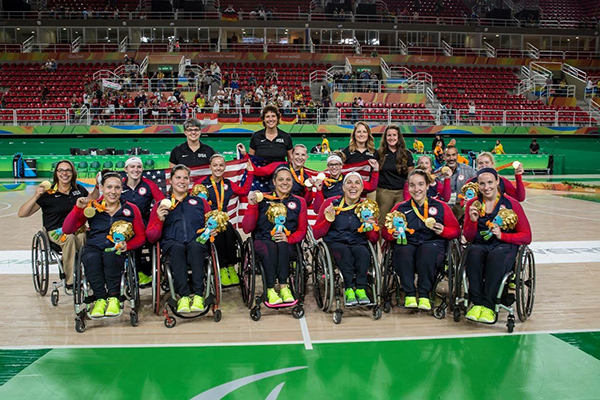 Photos are courtesy of Scot Goodman. 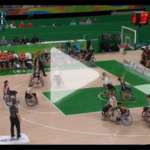 Click here to view them all!